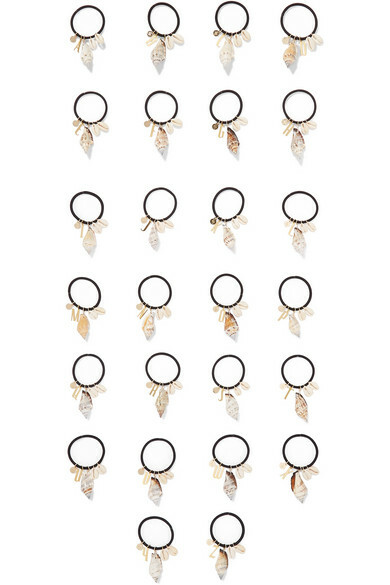 LELET NY's handmade hair tie allows you to capture the feeling of a tropical beach vacation, even in the dead of winter. 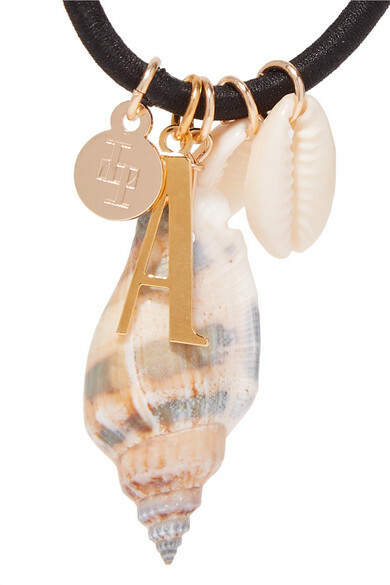 The elasticated band is strung with faux seashells and gold-plated charms, including a letter - the personalized touch makes it such a thoughtful gift. Wear it to secure ponytails and chignons. Shown here with: Helmut Lang Jeans, REJINA PYO Top.